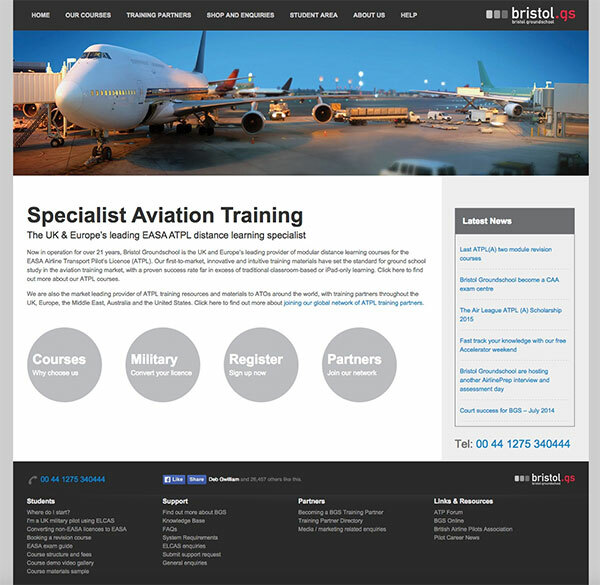 I originally works for Bristol Ground School as a technical illustrator, but nowadays I also maintain their website and recently rebuilt it so that it works on mobile devices. Shop: This site deals with a £60,000.00 monthly turnover. The website takes payment from credit cards and the distribution and admin are all run through WooCommerce. Events: The school runs week long ‘refresher’ courses which they are booked online. The availability and communication is all done through the website. Accommodation: Local accommodation options are listed and reviewed (by BGS students). Partner Orders: BGS sells white label course materials through the website, each partner has a personalised login which specifies which courses they are allowed to acquire as well as storing their details to save time. Showcase: The website has embedded videos and pdf brochures to show how great their course materials are. If you’ve ever worked with anybody who has been through RAF training, you’ll know they have certain ways of doing things. This company is all ex-RAF and everything is executed with military precision (as opposed to Military Intelligence, which is apparently the most commonly used example of an oxymoron).